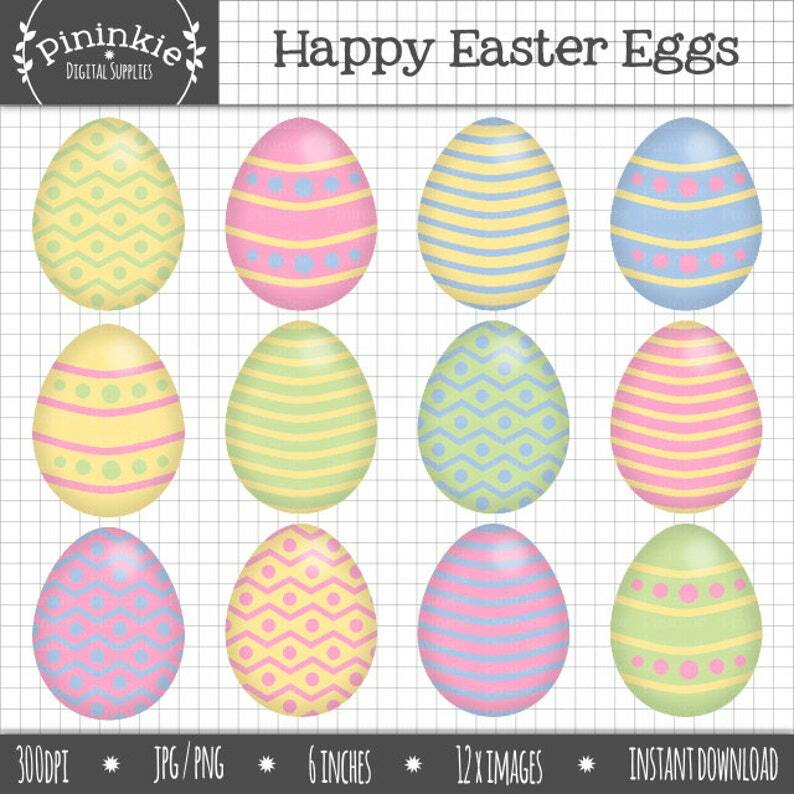 This listing is for the Happy Easter Eggs clip art pack. The pack contains 12 different Easter egg designs in both PNG and JPG format. Perfect for Easter paper craft projects and scrapbooking! Either print or use digitally, as many times as you wish. Suitable for home printing. Each image is 6 inches high at 300 DPI, so ideal for resizing smaller. • This listing is for digital files ONLY. No printed products will be shipped. • You will need software that supports the use of JPG & PNG image files and to open Zip files. • Copyright © 2015 Tanya Stovold.